Kees Juniors learn to channel their energy into highly constructive activities. 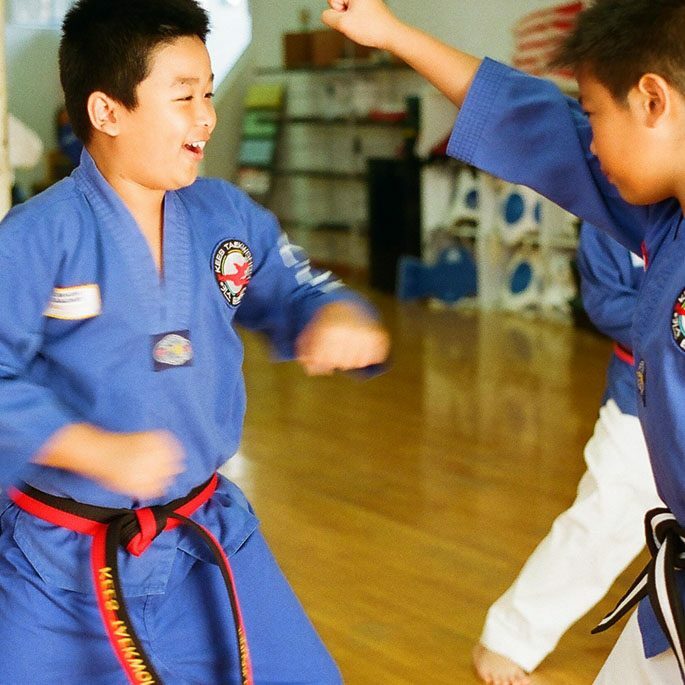 Instructors encourage Kees Juniors to build their physical strength and skills by refining their Taekwondo techniques. Classes are fast-paced, energetic and fun, to match the needs of the amazing Kees Juniors. The program emphasizes focus, mental strength, concentration, self-discipline and respect. This combination of skills often transfers to other areas of the Junior’s life. All of Kees students are encouraged and supported to do well in school and to contribute positively to their families. Kees Juniors enjoy the added opportunity to learn about themselves and to share their talents by participating in the unique Kees Star Program.